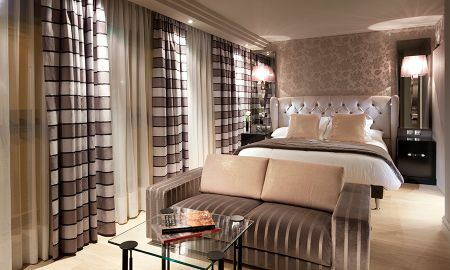 Hotel Burdigala - MGallery by Sofitel is a luxurious five-star hotel situated in Bordeaux. It welcomes you in an elegant and relaxed atmosphere with modern decor. The Burdigala features 83 luxurious rooms and suites that offer a sense of space and brightness. 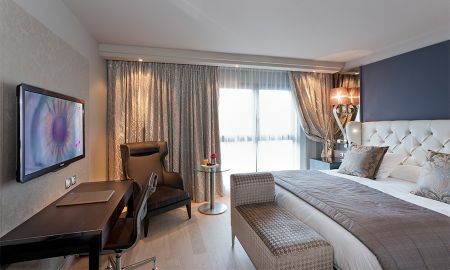 The decor is very refined with colour shades and high-quality furniture. Attention to detail is paramount in this hotel. Each room is fully-equipped and features a private bathroom. This luxury hotel houses "La Table de Burdigala" restaurant which serves a delicious breakfast and dishes made with seasonal ingredients and local products, accompanied by the best-selected wines produced in Bordeaux. The Burdigala offers guests four magnificent meeting rooms with all the necessary facilities for the organisation of seminars, conferences and private events. An amphitheatre is also available. 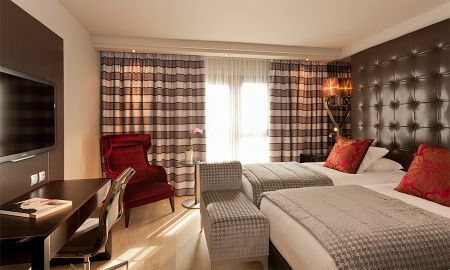 The Burdigala Bordeaux - MGallery Collection hotel boasts an ideal situation in the heart of Bordeaux, within walking distance from the Basilica of Saint-Seurin and 10 minute walk from the Museum of Fine Arts. The hotel is also close to the Cathedral Church of Saint Andrew and the Museum of Aquitaine. The Opera and Place des Quinconces can be reached are 10 minute walk from the hotel.